Sophie Maree is pleased to announce that on the first of March we will host the solo-show of Yang Yongliang, a Chinese photographer and multimedia-artist, living and working in Shanghai. Central to his work is the convergence of traditional Chinese Shansui-painting with contemporary photographic stills and animation. His background in painting and calligraphy serves neatly in the representation of the fictitious and mythical landscapes in Peach Blossom Colony. Yongliang has been working on this series for the past three years, creating serene Chinese mountainous cityscapes in which modern-day elements creep in. It makes for a rich, contrasting view of past and present, utopia and dystopia: the viewer is treated to a paradise, but one that is on the precipice of breakdown. Apart from Peach Blossom Colony, Bowl of Tapei will also be showcased. In this recent work YongLiang’s landscapes are featured but form now the content of a traditional ancient bowls of Jingdezhen porcelain. 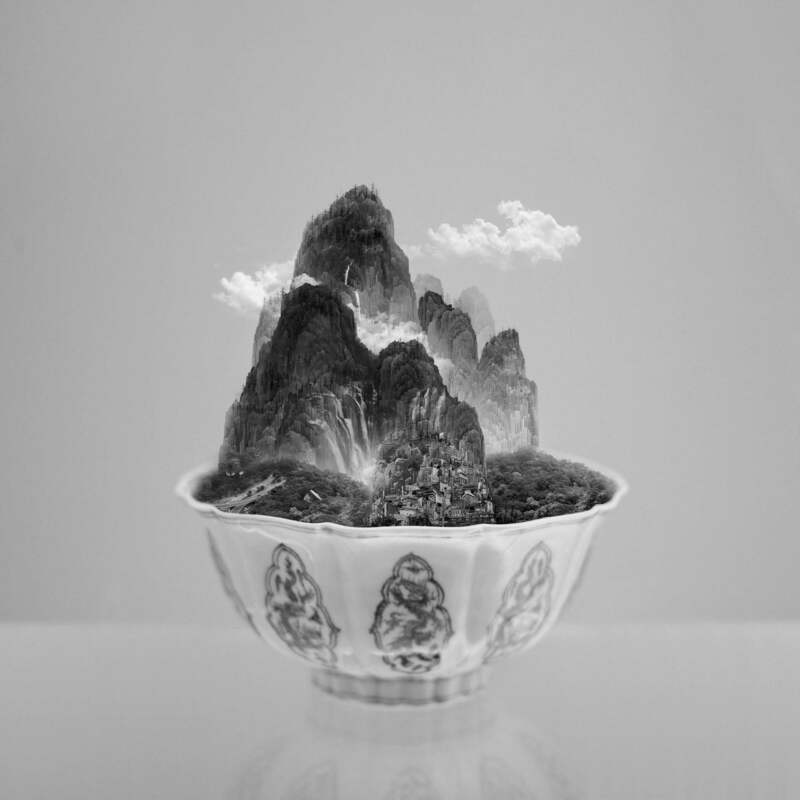 Bowl of Tapei is again a juxtaposition of old and new China with a touch of surrealism. Yang Yongliang believes that there are ways to move this art culture into more modern times by using the newest technology and techniques and blending them with the old. He says, “As long as the characteristics don’t change, the media you use to express the art doesn’t matter. 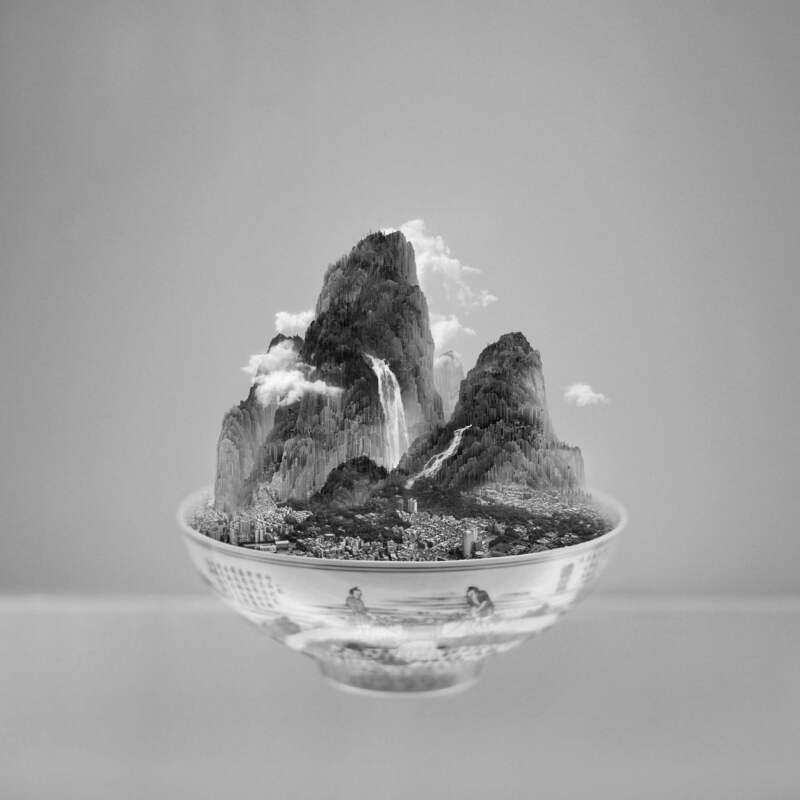 “With these ideas in mind, Yongliang recently created A Bowl of Taipei, in which he blends layers of photography into surreal compositions. Through digital manipulation, the artist built stunning landscapes in which, when viewed closely, the modern world of Taipei is revealed. 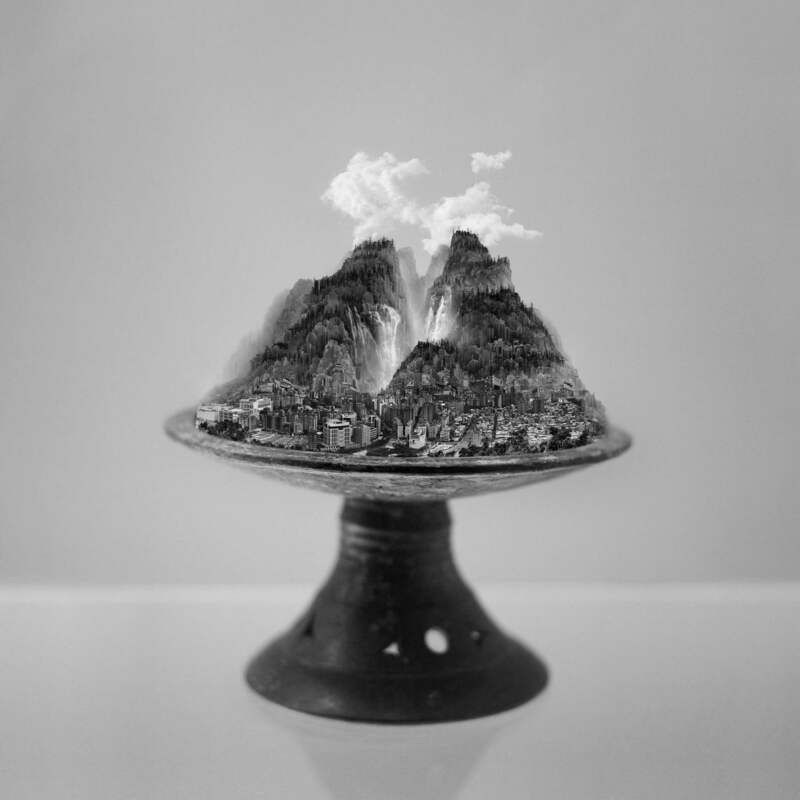 The series visually represents the past, the present, and the future of Chinese art and there is a calm and serene beauty within each landscape as waterfalls cascade down mountains, clouds fill the sky overhead, and buildings illuminate as nighttime falls. The use of images is exclusively reserved for promotion of the exhibition and valid up to two months after the end date of the exhibition. Obligatory mention: © Yang Yongliang courtesy Sophie Maree gallery, The Hague.